Did you know that cats can become mothers in their first year of life? While more and more pet parents spay their cats early in life, many good Samaritans have gotten more than they bargained for, after finding that the stray they adopted is pregnant. As a matter of fact, we here at the Life’s Abundance office found ourselves in a similar situation when a sweet little stray showed up at our door a while back. Of course, food and water were the first order of business. After a few days, she began to trust us enough to pet her. That’s when we discovered that she was pregnant. To make a long story short, we took good care of her and her kittens, and now the whole feline family lives with their new adoptive parents. If you have a pregnant cat, you may be wondering what to expect and how best to care for the expectant mother. To ensure that she is getting enough food, the free-feed method is advisable, but be sure to measure the amount you feed daily and provide fresh food each day. Feed a diet that is nutrient-dense like Life’s Abundance. Consider also feeding a high-quality canned food, to provide extra protein and water. Additionally, providing fresh, clean water is a must. You should not need to increase the amount you are feeding until the fifth or sixth week of pregnancy, and mother cats should not gain more than 15-25% of their body weight by the end of pregnancy. Remember, overweight cats can have a higher risk of difficulties during labor and delivery. Pregnant cats lose 40% of their pregnancy weight after giving birth; however, they still require two-to-three times their normal amount of food after giving birth in order to produce enough milk to feed their kittens. The protein and fat concentration of their milk is very high, so good nutrition is critical not only during pregnancy but also until the kittens are weaned. As we mentioned, continual access to fresh, clean water is also very important, as dehydration can affect the milk supply. Change the water out daily or provide a water fountain. Mother cats should deliver in a quiet, familiar area where they will not be disturbed. Usually, a mother cat will choose her space - all you need to do is provide blankets or towels for her comfort, she will take care of the rest. Unfamiliar surroundings, noise or strangers may cause problems by impeding delivery or milk letdown, or even negatively affect the mother’s instinct to care for her kittens. A day or two before birth, your cat may stop eating – this is a good sign that delivery is near and she has started stage one of labor. Stage one usually lasts 12-24 hours, and during this time she may become reclusive or restless and nest. If she doesn’t eat for more than a day and shows no signs of delivery, contact your veterinarian, as cats should not go more than a day without a meal. Normal stage two labor is when the kittens are delivered! The entire delivery can take up to a full day, depending on the litter size. There should not be more than one-to-two hours between kittens. 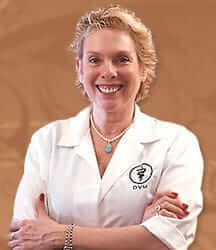 If it seems like delivery is taking longer, or if you have any concerns, call your veterinarian immediately for advice. 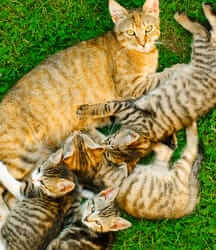 A single unspayed female cat and her offspring can account for the birth of 420,000 kittens in a seven-year period. There is an estimated 70 million homeless cats in the United States, and four million cats and dogs—about one every eight seconds—are put down in U.S. shelters each year. Spaying and neutering your pet is a proven way to reduce the number of homeless pets and ensure every pet has a family to love them. Can I simply just say what a comfort to uncover an individual who actually understands what they're talking about on the internet. You actually realize how to bring a problem to light and make it important. More and more people need to read this and understand this side of the story. I can't believe you are not more popular because you certainly possess the gift.